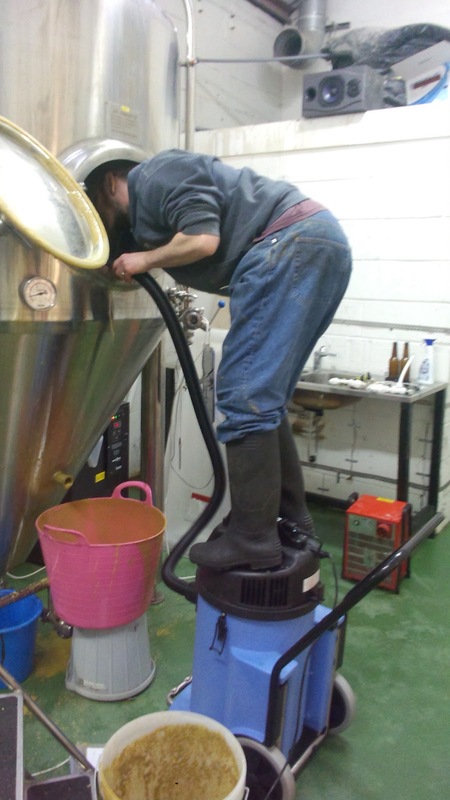 This week started with a rebrew, or should that be a new brew? Let's start again shall we. 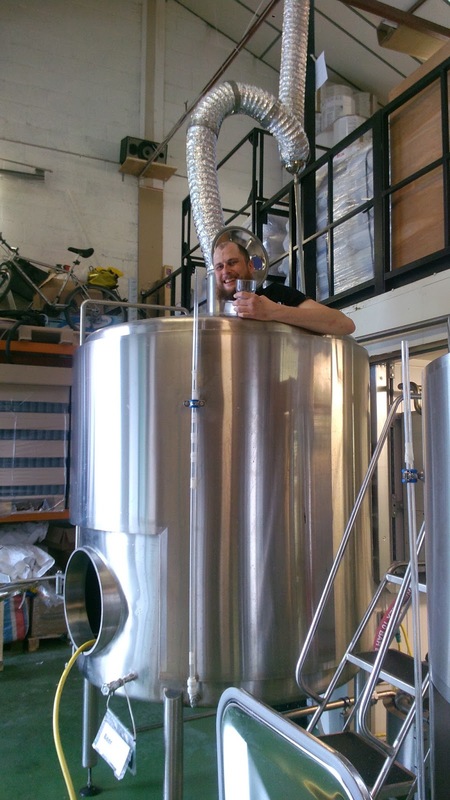 This week kicked off with a brewday. 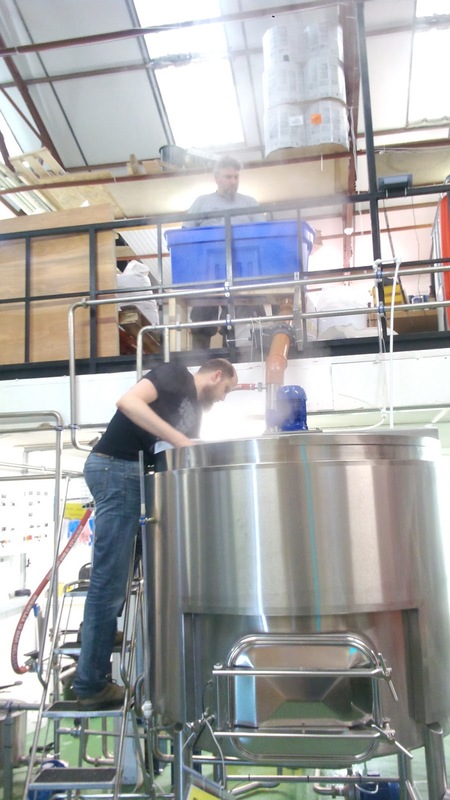 We started off by brewing one of our core beers, that we have actually tried to brew before. 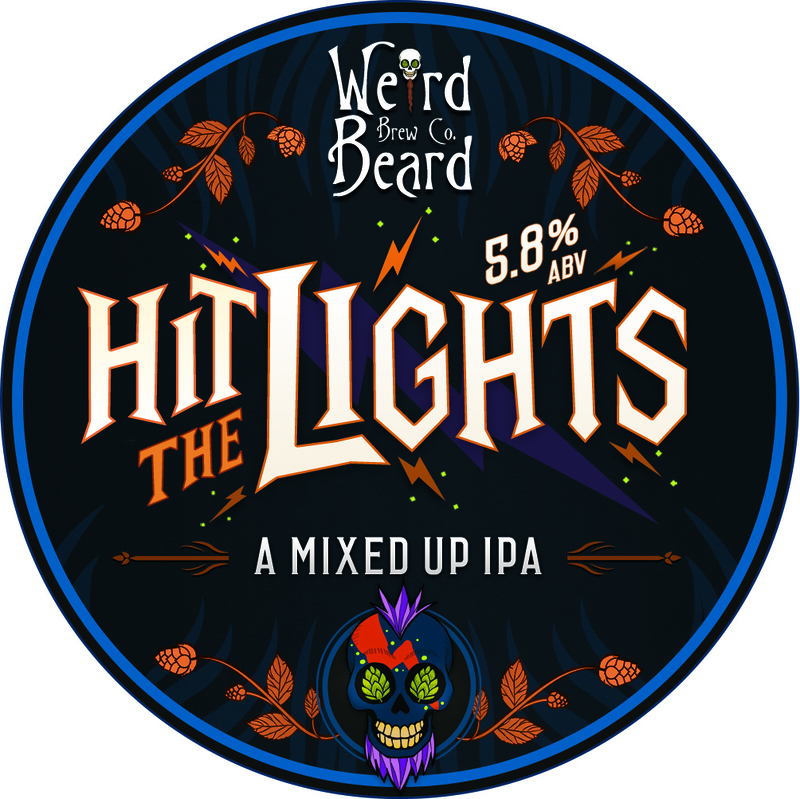 This will be brew 0009 and will go by the name Hit The Lights. Now, if you cast your mind back to early march, and the release of batch 0002 you will remember a beer called Miss The Lights. That was the first attempt at brewing Hit The Lights, but not all went to plan. But this time round all things have gone to plan. The brewday went without a hitch, with the beer happily in FV3 earlier than any brewday yet. Hit The Lights will be getting a good dose of dry hops sometime in the coming week, and maybe bottled towards the end. FV4 currently has Saison 42 in, our collaboration with Sad Robot from Sweden. This has been sat at around 25 Deg C for just over a week. 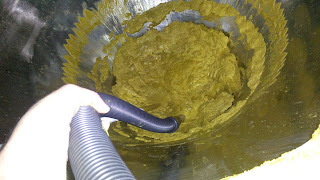 The yeast have done their thing, and it is down from 1049 to 1006, making it a nice 5.7% abv. 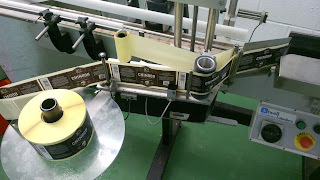 There will be a couple of versions of this out, and bottling will start early this coming week. 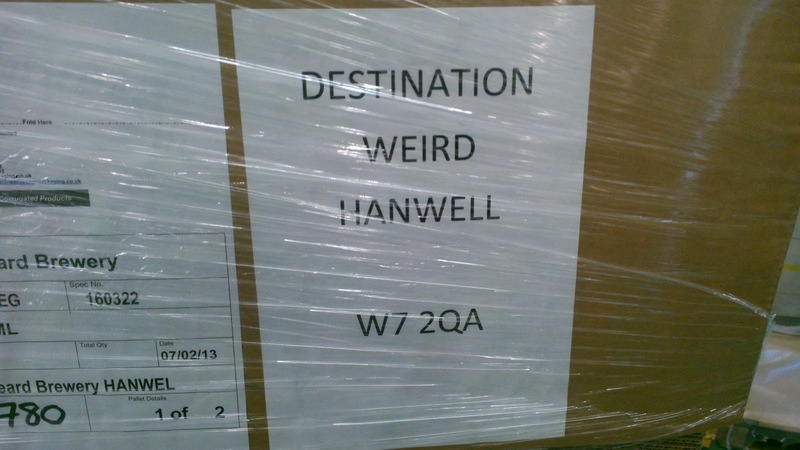 I think you will agree that we got the label sorted. Bottled beer continues to fly out of the brewery, and we have now sold out of Miss The Lights & Black Perle, with stocks of Single Hop Chinook and Mariana Trench getting very low. 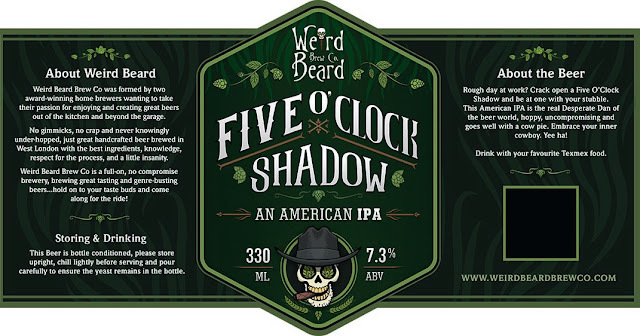 Cask and keg beer is also making its way out, but at a slightly slower pace. 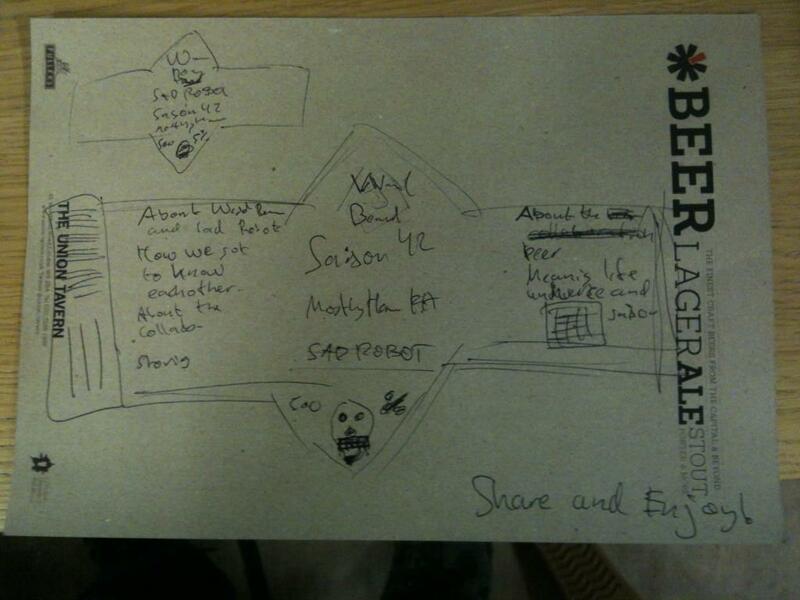 But we expect this to pick up dramatically with festival season now upon us. In fact, we have 4 casks going to the Reading CAMRA beer festival, 1 cask & 2 keg kegs going to the Hope in Charshalton and 1 cask & 4 key kegs going to the London's Brewing, all in the coming week. 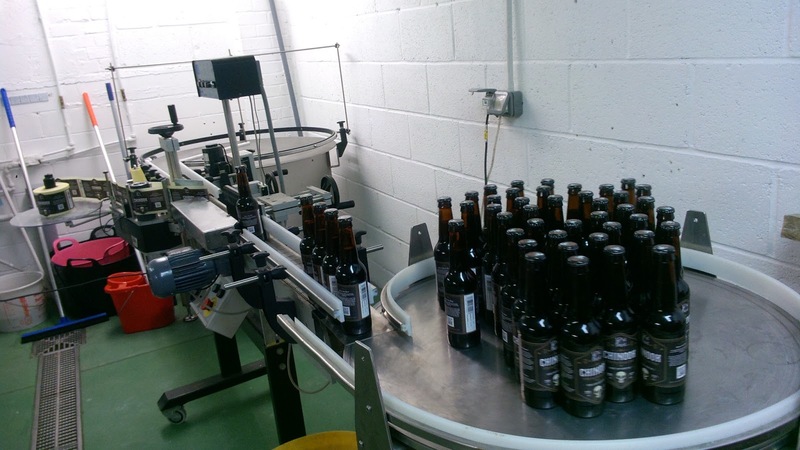 We have bottles of 5 o'Clock Shadow, Fade to Black and Holly Hoppin' Hell waiting for labels, which have now arrived. We have made a start of the 5 o'Clock Shadow bottles, as these are ready to go. 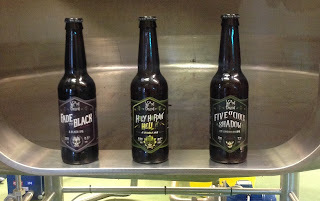 Fade to Black and Holly Hoppin Hell will be done when we have time over the coming week or so, as these could do with a little more time to condition, so no rush to get these out. All opinions and grammatical errors are those of WeirdBeardBryan, and not to hairy ones as a collective. This week started off on a real high. As mentioned in last weeks blog, we were very lucky to welcome our good friend Ingemar from cuckoo brewery Sad Robot over from Sweden. 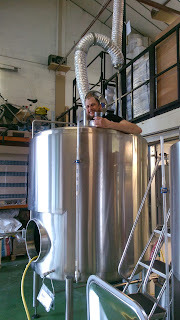 We decided to brew a saison, which we will be calling Saison 42, a mostly harmless farmhouse ale. 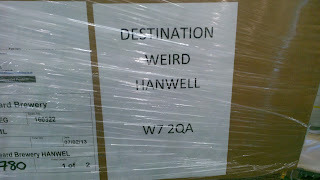 Through this collaboration we have managed to score a distributor in Sweden, so very soon we will be sending a couple of pallets over to the fine beer loving swedes. 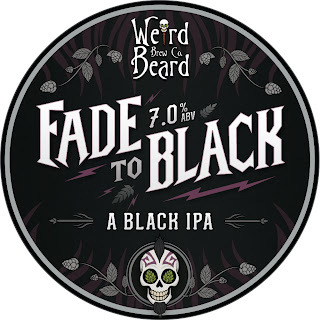 We also packaged our black IPA, Fade To Black, this week. And it is tasting great. It went into 2076 330ml bottles, 8 casks and 18 key kegs. 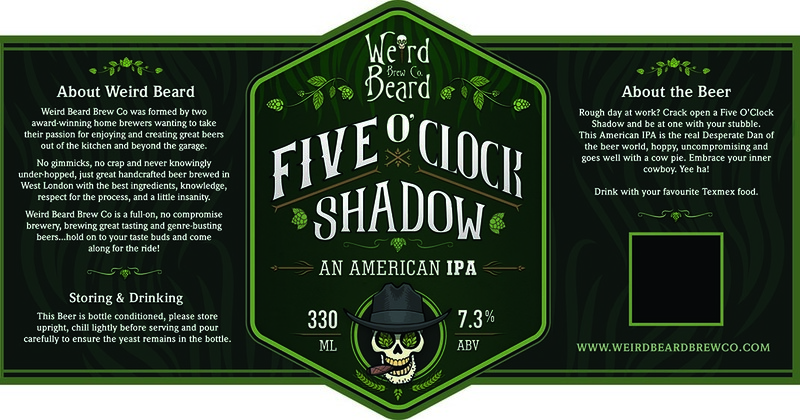 We have labels on the way, along with 5 o'Clock Shadow and Holy Hoppin' Hell. 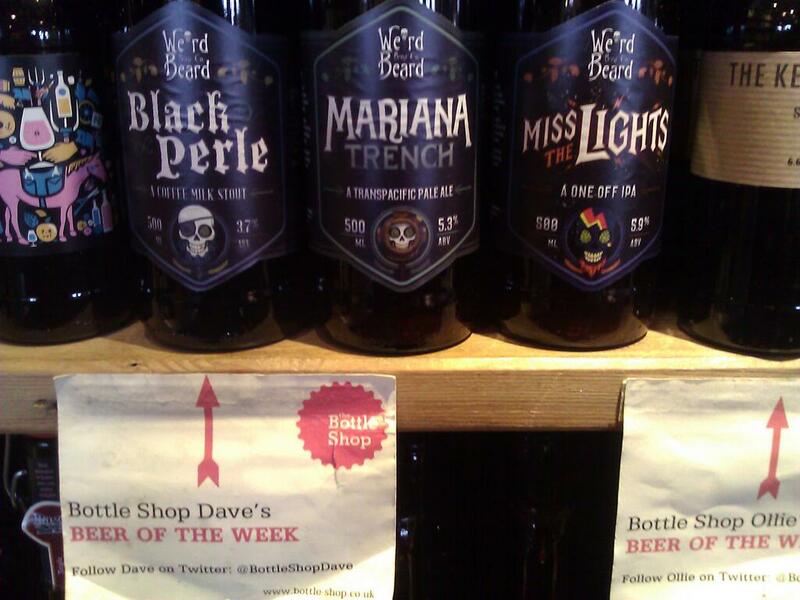 Beer continues to fly out of the brewery, and you can now find it in bottle shops all over the country. 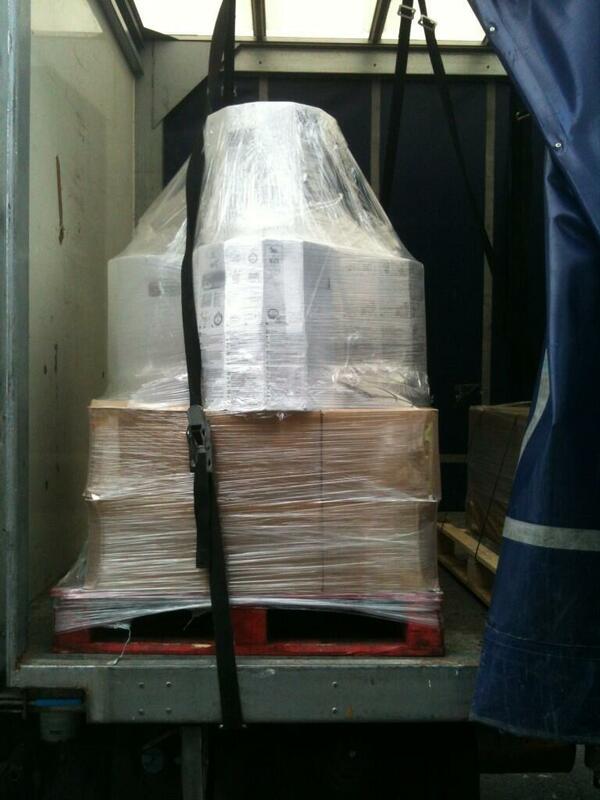 This week a pallet was sent up to Manchester. If you see it anywhere, please do tweet about it, so we can update our outlets page on the website. Now the weather has finally sorted itself out, the air conditioning has been turned on in the cool room. 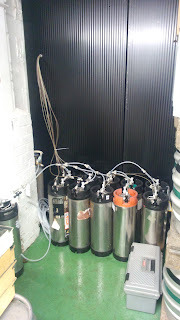 This means the beer for the bar has also moved into the cool room. Remember Miss The Lights? 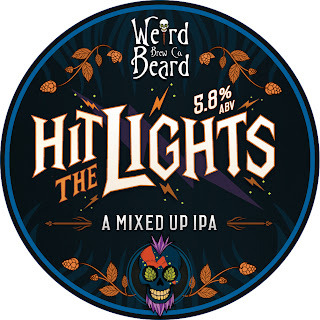 This was our first attempt at Hit The Lights, and our 2nd ever brew on the kit. 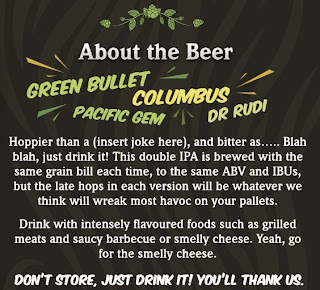 This beer has been a strange one for , getting a real mix of reviews. 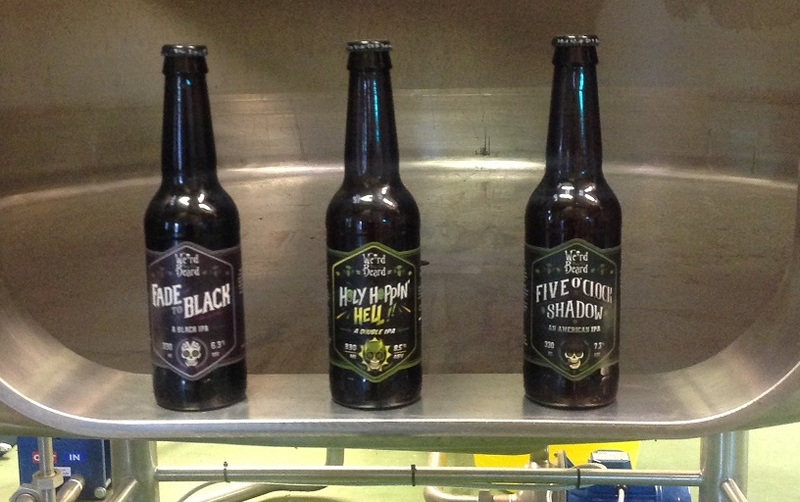 Our stock of the bottles have sold out, but the casks and kegs have not gone down too well. We apologies if you have sampled this on cask, or key keg and have not enjoyed it. 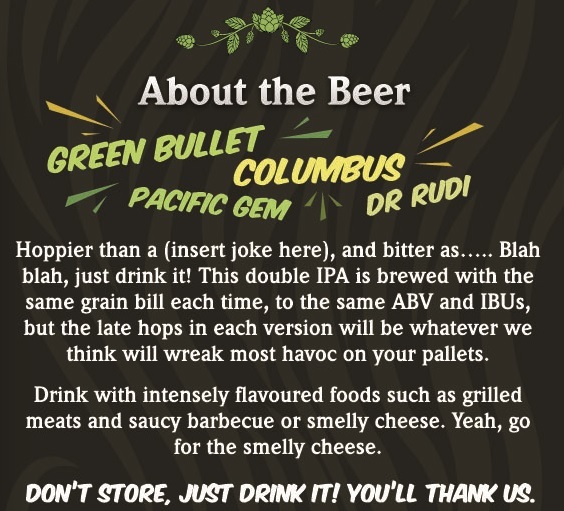 We have stopped selling these and our considering putting the remainder into bottles, as it works really well in this format. 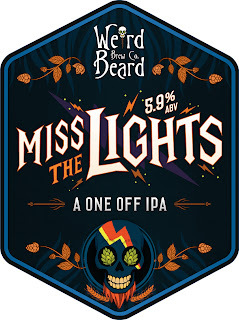 As a side note, on Monday we will be brewing Hit The Lights. We have learnt from our mistakes, got a lot of the issues that plagued us in the beginning sorted, and calibrated the brew house. This time Lup'in will walk out onto the stage, but he will not fall on his arse. 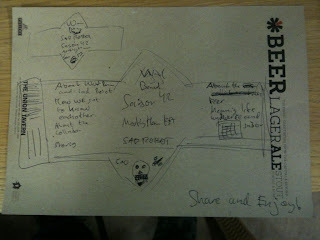 We are realy looking forward to brewing this, as it is a fantastic beer. 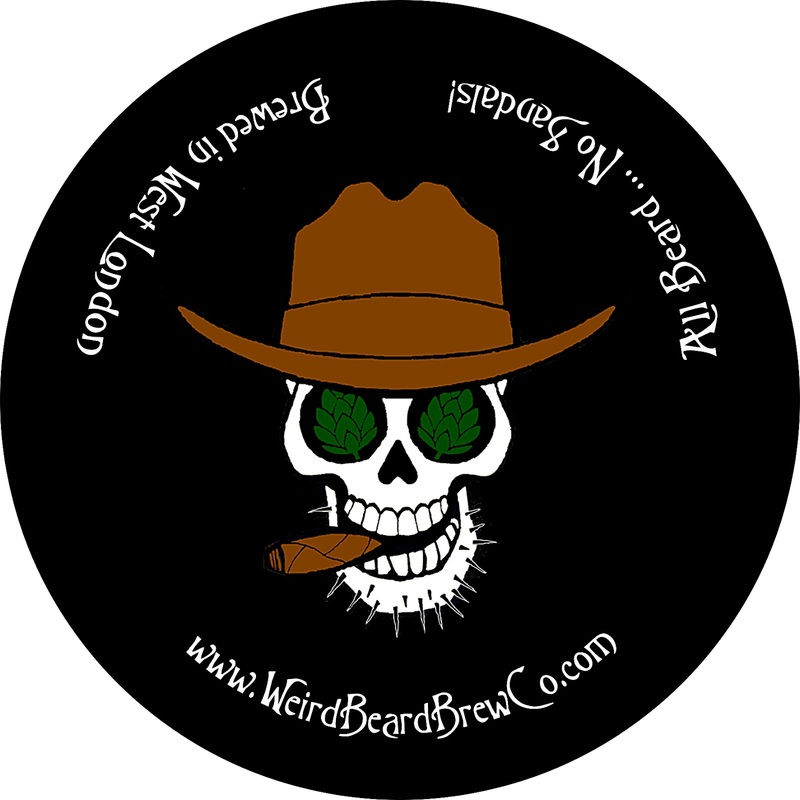 All opinions and grammatical errors are those of WeirdBeardBryan, and not the bearded collective.